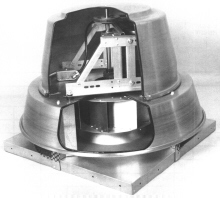 Blower Fans Engineers supply custom O.E.M. covent air handling fan ventilators and blowers, American Coolair co-vent fans, heavy duty induce and force draft air fans, I.G.E. 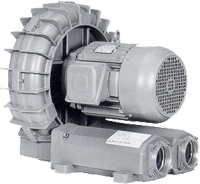 Blower nyb pressure blowers, high temperature centrifugal blowers and axial fans. Industrial blowers, commercial fans, high temperature blowers, pressure blowers, OEM blowers and fans, roof and wall exhaust ventilators, HVAC fans, process and OEM high pressure fans and blowers, custom made blowers and fans, huge industrial process fans ventilators, dust collector ventialtors, industrial combustion blowers and high temperature axial and centrifugal oven circulation plug fans. Type HS PRVs reliably extract large volumes of hot gases and smoke regardless of building configuration, location and weather conditions. They withstand high temperatures for long periods of time. A reliable ventilation system that can operate during a fire is both vital and essential. It prevents smoke logging, allows people to escape quickly, minimizes damages to property and contents and enables firemen to attack the fire without hindrance. These power roof ventilators have the added advantage of providing normal day to day ventilation and in many cases can also be fitted with duct work for use in multi storey buildings.